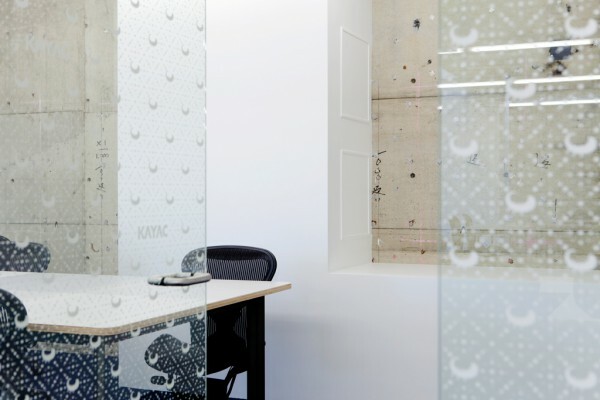 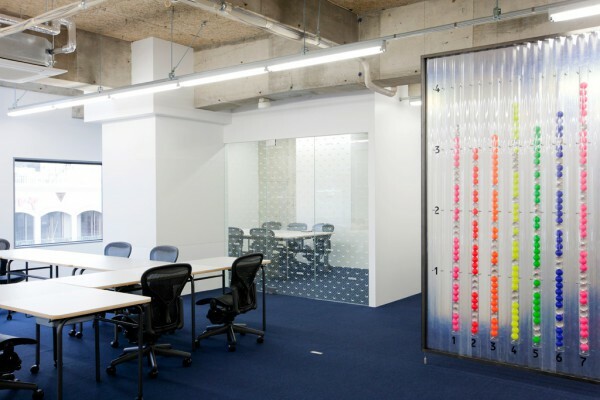 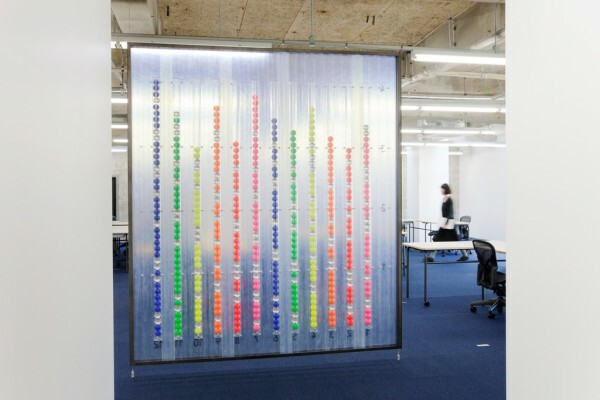 We performed the interior design for KAYAC’s new office located in front of Kamakura station. 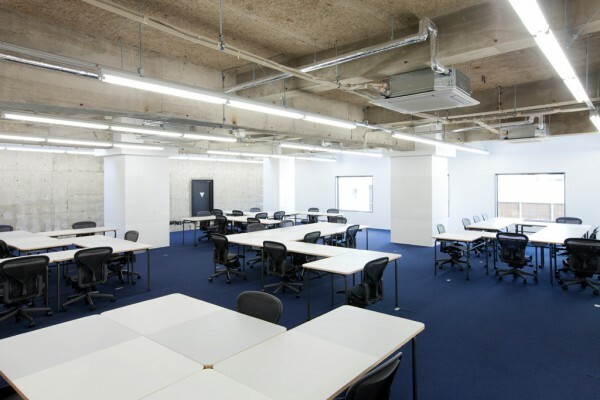 The new office will welcome a team specifically assembled to work on the company’s roster of social games. 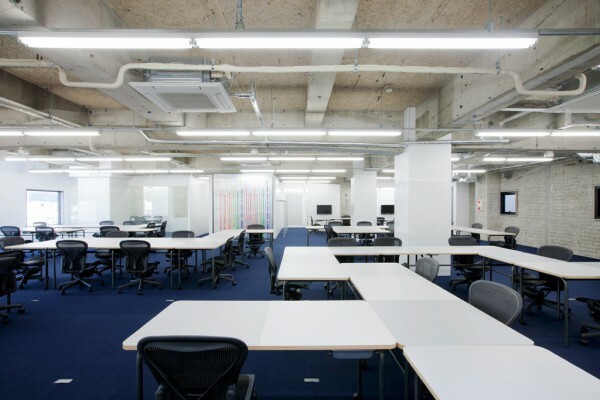 Since the team composition changes with each project, we decided to take up the same desk system previously used at the company’s Ebisu office. 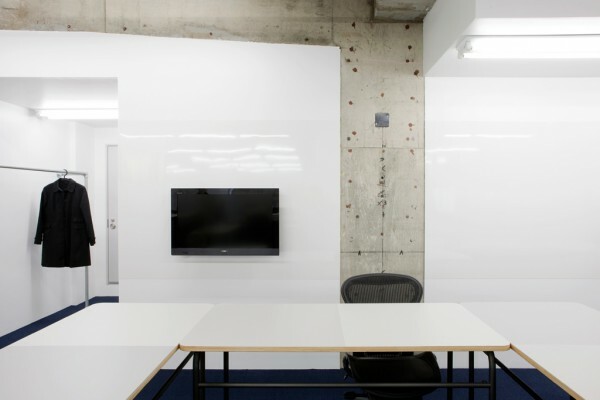 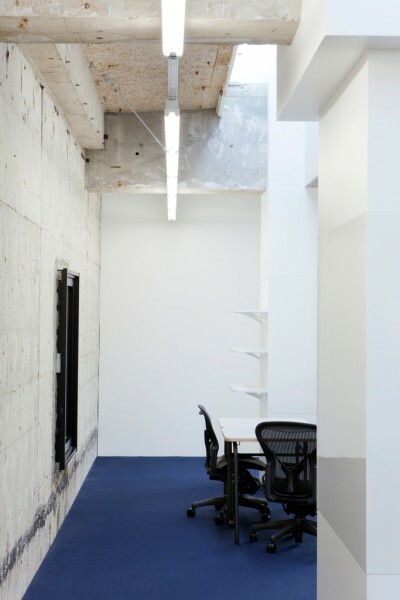 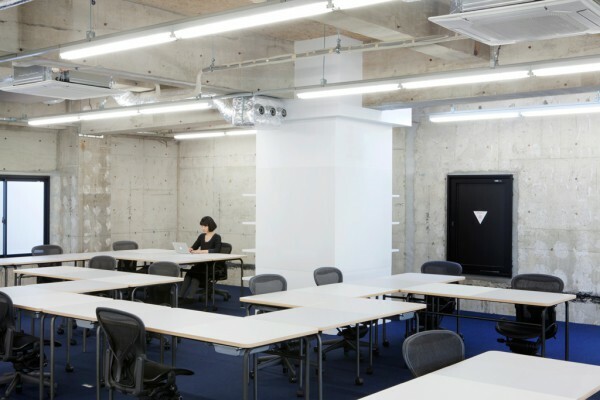 We were conscious to give this project a different aspect from the Ebisu office taking into consideration the existing environment’s rough finish, such as cemented excelsior boards and bare concrete walls. 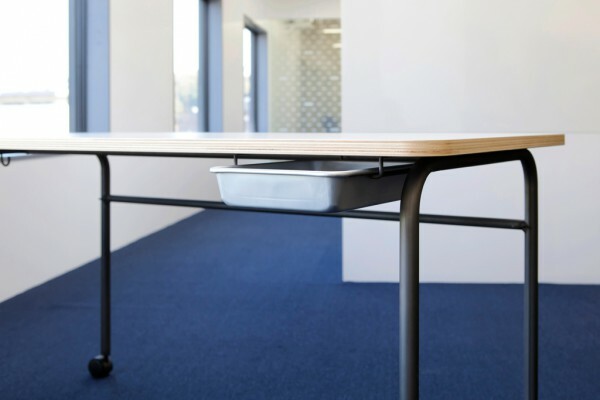 The finish of the desks' top plates was left unchanged and their carbon-black leather finish legs fit with the taste of the existing space. 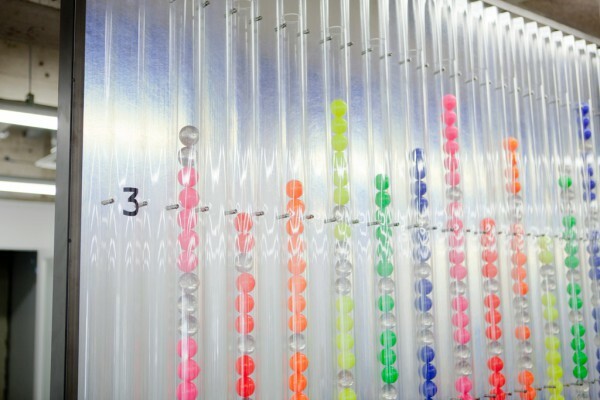 The color ball performance ledger has undergone a reincarnation by using bouncy balls, which function as a colorful partition when stacked between two sheets of corrugated fiber-reinforced plastic and polycarbonate. 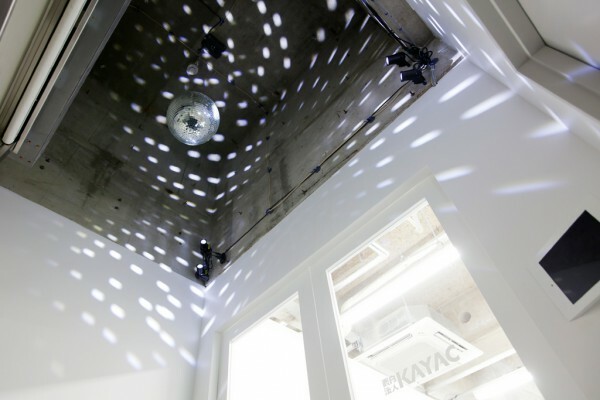 Customers coming through the entrance hall are greeted by a hanging mirror ball placed at the heart of the existing framework. 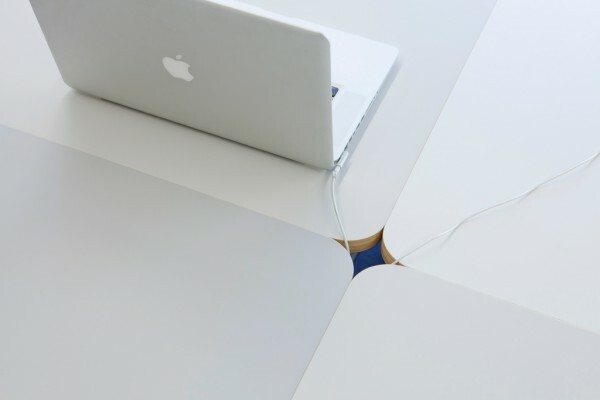 The morphing desk layout that follows the projects and the ledger that is updated from day to day make a working style that can adapt to changes in a flexible manner possible.